Death by decapitation has been a part of human history for a long time. This execution style stretches all the way back to the Stone Age. For most of history, decapitations were something reserved for the battlefield and executioners. Now they're back in the news, thanks to members of the terrorist group ISIS beheading their captives. While it's a gruesome and a truly brutal sight to behold, have you ever wondered what's actually happening to the human body (on a biological level) during a beheading? Let's explore, shall we? Decapitation leads to certain death. There's really no argument in the scientific community that decapitation can somehow be survived by humans. If you lose your head, you are definitely dead. (Unlike Mike the chicken.) However, there is some quite spirited debate over just exactly how it happens. Specifically, it's not known if people are actually conscious for a few moments after they're decapitated. Within seconds of your head being removed, your vital organs (heart, lungs, etc.) stop receiving instructions, so they stop working. At this point in your headless body, blood is also no longer circulating. This means your cells aren't getting the oxygen they need to function. Cell death sets in and you die. Simple, right? While that's the basics of losing your head, there are a few less well known facts about decapitation. 1. It's rumored that severed heads can be conscious after decapitation. This is a hotly debated aspect of decapitation. Most scientists say no, but then again no one has been able to interview a decapitation survivor about this. There is some speculation that it's possible for consciousness to continue in the head even after it's severed from the body. The reason why is that the blood in the brain can stay oxygenated for up to 12 seconds with no circulation. Theoretically, that temporarily oxygenated blood would allow the brain to keep functioning. 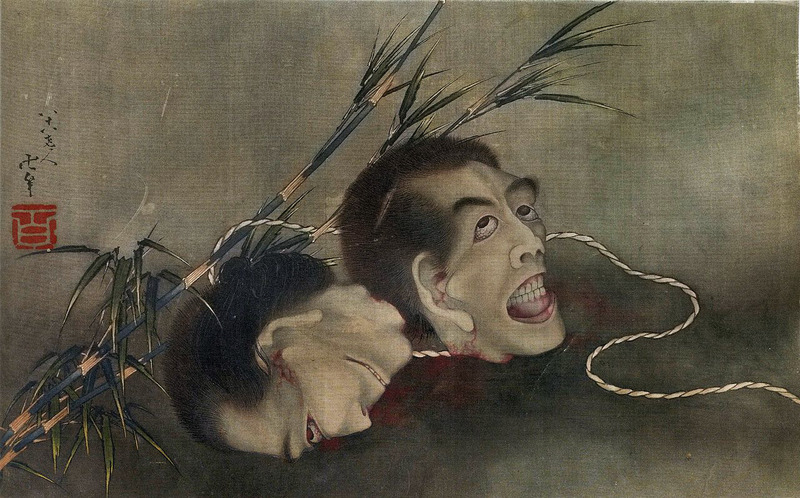 While this phenomenon has never been directly observed by modern scientists, there are plenty of stories throughout history of severed heads opening their eyes and looking around. For example during the French Revolution the severed head of Charlotte Corday was said to have stared at the executioner after he smacked its cheek. In 1989, an army veteran witnessed a friend decapitated in a car crash. The veteran said that the severed head of his friend showed emotions of shock, terror, and grief as the eyes looked back at its body. 2. Beheading is actually the most humane execution method. While a beheading is a savage thing to witness (and wait for), it is actually considered by many to be the most humane form of execution because death occurs so quickly. Beheading isn't entirely painless though. It's thought by many researchers that there must be at least some sharp, acute pain felt when the head is severed. Though, for obvious reasons, they have not been able to prove it. One of the reasons why decapitation is no longer used in western countries as a form of execution is because of the spectacle. It's also incredibly messy. When the head is severed, the heart keeps beating for a moment or two. All the blood that would have been going to the head is now spurting out the neck. Typically the blood will gush out in a high spurt for about 30 seconds after the head is removed. No one wants to clean up that mess. 4. Some animals can survive decapitation. While humans may not be able to survive a beheading, there are a few animals who can, such as pit vipers and chickens. In fact one chicken, Mike the Headless Chicken, was able to survived without his head for a full 18 months. Mike's case is a rare one, but it's not unprecedented for headless chickens to survive for a time. 5. There are two types of decapitation: internal and external. External decapitation is the kind that we're all familiar with, an outside force severs the head from the body. Internal decapitation though, is much rarer and interesting. When someone is internally decapitated, their skull is severed from the spinal column, but is still attached to the body. This can be caused accidentally during severe head trauma, or intentionally. In fact, the act of hanging relies on the mechanism of internal decapitation to ensure that the victim dies quickly. While it might seem impossible, there have been a handful of people in recent history who have survived internal decapitation thanks to quick thinking doctors. 6. The guillotine was the official state execution method in France until the 1970s. While the guillotine might seem like something rarely used since the French Revolution, it was actually the official execution method in France until they abolished the death penalty. 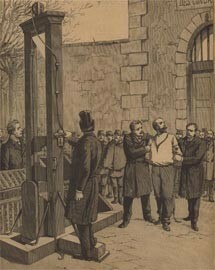 The last prisoner killed using the guillotine was Hamida Djandoubi, pictured above. Djandoubi was an immigrant convicted of murder. Shortly after his execution in 1977 France abolished the death penalty, in 1981. 7. Guillotine executioners in France were celebrities. As the guillotine grew in popularity in France during and after the Revolution, its operators became celebrities. Typically the job of state executioner was a family business in France. For years the role was passed down from father to son in the infamous Sanson family. In the late 1800s a father son duo, Louis and Anatole Diebler, conducted state executions. Executioners' names were often chanted in the streets and it's said that their choice of clothing on the scaffold inspired fashion trends. 8. Beheadings were a public spectacle. 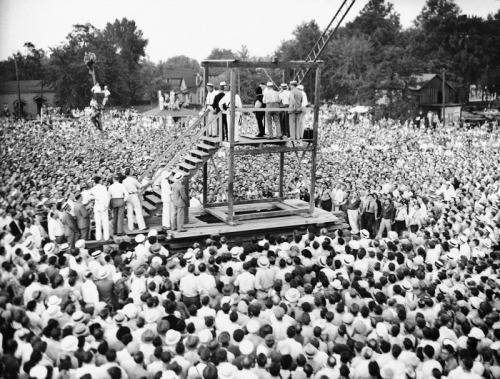 Just like decapitation itself, public executions have always been a public spectacle. 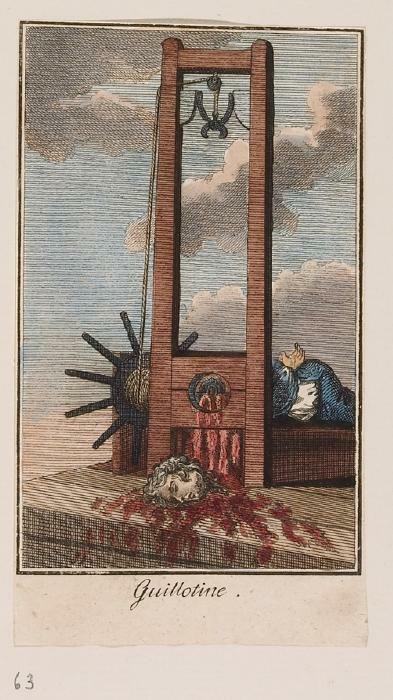 However after the guillotine was introduced, they reached a new fever pitch of popularity. This was especially the case in France after the Revolution in the mid-1790s, during the so-called "Reign of Terror." Dozens of "enemies of the Revolution" met their end everyday at the guillotine, and there was always a crowd. You could even buy souvenirs of the executions. However, by the end of the 18th century, much of the fascination with the guillotine had faded and public beheadings became less of a circus. Just to be clear, this article is not an endorsement of beheadings in any way. What certain groups in the Middle East are doing to innocent people is despicable and should be ended. Rather, this article is an attempt to explore and explain something strange and fascinating that many of us (thankfully) don't think have to live in fear of everyday.